Risk management is a key to being able to earn a lot of money on the stock market. By using simple risk management strategies such as risk diversification you are able to reduce the risks associated with stock trading. The average trader does not need to learn more advance risk management strategies such as different methods used to hedge your investments. Hedging is different methods used to protect you from the potential loses by giving up a small portion of the potential profits. The goal when you hedge a trade is to make sure that the worst possible outcome is that you break even. It should be mention that it is almost impossible the be 100% hedged. Black swan events (large unexpected events in the market) can always wipe out a hedge and expose you to large losses. I am not going to discuss any techniques that you can use to hedge your trades. As a regular trade you are not going to need them. They are not going to be profitable for you to use. If you want to trade with financial instruments that are more high risk than stocks such as all or nothing options and CFD:s then it can be a good idea to learn more about more advanced risk management strategies. Your broker will provide you with several tools that you can use to limit the risk of stock market trading provided you know how to use them correctly. The most important such tool is the stop loss tool. A stop loss is a sell order that is triggered if the value of a certain stock falls below a certain point. You can decide when the sell order is to be triggered. This way the broker will automatically sell your stocks if the stock price goes down even if you are not actively monitoring your stock portfolio. There is not guarantee that the broker will be able to sell your stock. There has to be a buyer available on the market for the stock to be sold. It is however a good way to reduce the risk you expose yourself to and a good way to minimize the risk that you will end up holding the stock during a down turn in the market. The best way to use the stop loss tool is to adjust the stop loss value once every week and after large jumps in the stock price. 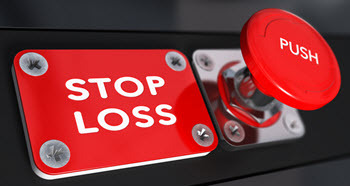 Set the stop loss to activate if the stock goes down 1-2% below the market value when you set it. That way the stock will be sold and your profit realized if the stock starts going down in value. Please note that this is not a good strategy if you are a long term dividend investor. In this case you usually want to hold the stock regardless to get the dividend regardless of the stock price. A down turn in the market is a good time to buy if you are a long term dividend investor. Not something you try to avoid by selling. Risk diversification if the most important risk management strategy that you should know about. 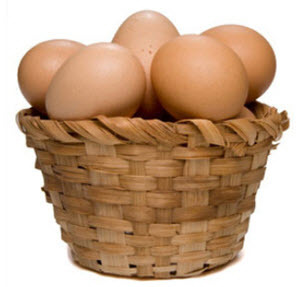 Risk diversification is another way to say ”don’t put all your eggs in one basket.”. The basic principle behind the principle is that it is hard to know exactly how one single stock is going to develop. A freak event that no one could see coming can affect the stock and send it tumbling. The risk that an unexpected event is going to affect one stock is higher than you think. The risk that several companies are going to be affected by unexpected events is a lot lower. You can therefore protect yourself against unexpected events by making sure that you invest in several stocks not just one. The more stocks you invest in the more diversified you are. It is up to you to decide how diversified you want your portfolio to be. Some traders would say that it is enough to invest in 10 different stocks to be diversified while other would say that your goals should be to own stock in 50 – 100 companies to be well diversified. How well diversified your portfolio is does not only depend on how many stocks you have invested in but also on which markets those companies operates in. It is possible to own stock in 10 different companies in different industries and countries and be more diversified than someone who owns stock in 100 companies within the same one or two industries. A well diversified portfolio should ideally not only contain stock put also mutual funds, bonds, real estate and other investments. Your goal should be to develop a diversification strategy that is suitable for your portfolio based on your goals, the portfolios size and other relevant factors.